Raidzap Thin - for the last layer on your fly. A clear UV resin and quick cure time with UV light. Raidzap Thin is a bit thinner than Medium. It has the very slight viscosity. Used to the smaller flies, to the last thin layer, or to the small heads. 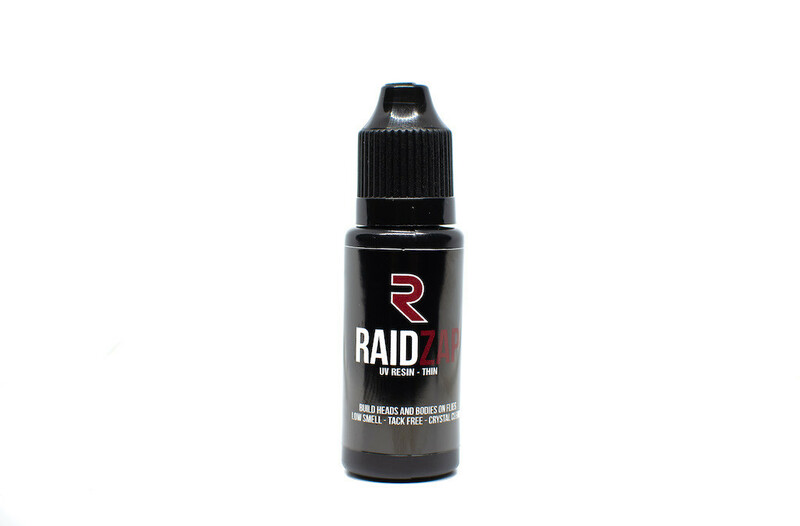 Raidzap Flex is a high quality UV resin for both beginners and experienced flytiers. Developed from the bottom with plenty of consideration, developed for flytying and with the right nozzle tip under the lid. 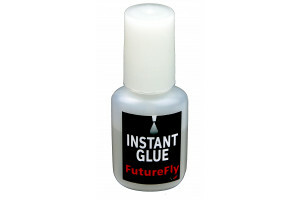 Use it for the small flies on the flytying vice.